WASHINGTON — Ecuador said Monday that it was not unfairly targeting WikiLeaks founder Julian Assange when it revoked his asylum last week. Ecuadorian Foreign Minister José Valencia said Assange's behavior was "undeserving, disrespectful" and he pointed to a video published by the newspaper El País. The short video with no audio appears to show Assange arguing with an official inside the Ecuadorian embassy in London. "An image is worth a thousand words, and there are several images," Valencia said. Jennifer Robinson, a lawyer representing Assange, has alleged that Ecuador's government spread lies about his behavior at its embassy. Valencia spoke with The Associated Press in an interview during a five-day visit to Washington with President Lenín Moreno. Neither will be having meetings with officials from the Trump administration. In the interview, the foreign minister said that a Swedish citizen who lived in the capital of Quito and visited Assange multiple times in London was arrested recently "because there is suspicion about his possible participation in criminal activities in Ecuador, related to information technology." The Swedish programmer has been identified as Ola Bini. 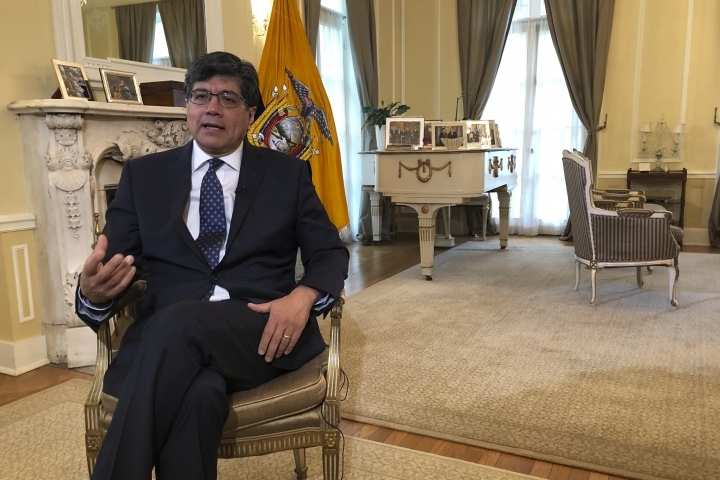 Valencia said the Ecuadorian government has other videos of Assange recorded by security cameras in public areas of the embassy which will be released if necessary as part of a criminal investigation. 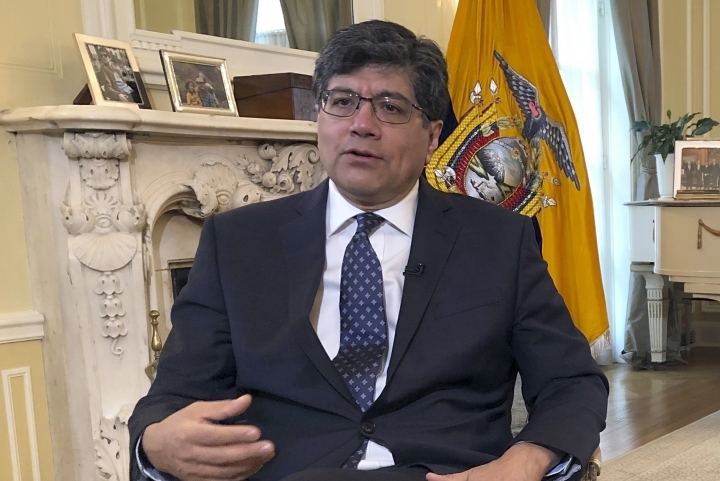 Valencia also said that Ecuador made a "sovereign decision" when it ended Assange's protected status after more than 6½ years and opened the way for his arrest last week. He denied any influence or pressure by the United States. After his arrest by British authorities, the Justice Department charged Assange with taking part in a computer hacking conspiracy, accusing him of scheming with former Army intelligence analyst Chelsea Manning to break a password for a classified government computer. In Quito, the Ecuadorian government on Monday released three diplomatic communications from British authorities saying Assange would not be extradited to a country that imposes the death penalty. This story has been corrected to show that Foreign Minister José Valencia said Ecuador has videos of Julian Assange recorded by security cameras in public areas, not President Lenín Moreno.